Feel like faith has become too safe? Pointed and poignant by turns, Jonathan helps readers open their hearts to a mysterious God and a faith that sustains, guides and, most importantly, surprises. His fearlessly honest story invites us all to discover the messy mercy and crazy grace of a sometimes startling Saviour. 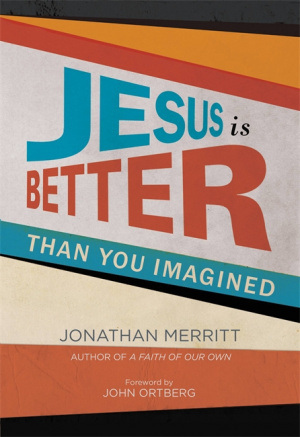 Jesus Is Better Than You Imagined by John Ortberg; Jonathan Merritt was published by Hodder & Stoughton in June 2014 and is our 13657th best seller. The ISBN for Jesus Is Better Than You Imagined is 9781444799767. Be the first to review Jesus Is Better Than You Imagined! Got a question? No problem! Just click here to ask us about Jesus Is Better Than You Imagined.